The operatives of the Rapid Response Squad of the Lagos Police Command and Iyana Ipaja Area Command early this morning arrested 20 youth over violence just as the youth smashed the head of an RRS officer and the rear wind shield of his patrol car in Abule Oki, Iyana Ipaja area of Lagos. The suspects were arrested around mid-night after almost two days of restiveness among rival gangs over dominance in the area. The youth who were numbering over 100 had at around 9:00 p.m yesterday set up bonfire on the expressway halting vehicular traffic on the two sides of the ever busy Lagos Abeokuta Expressway. 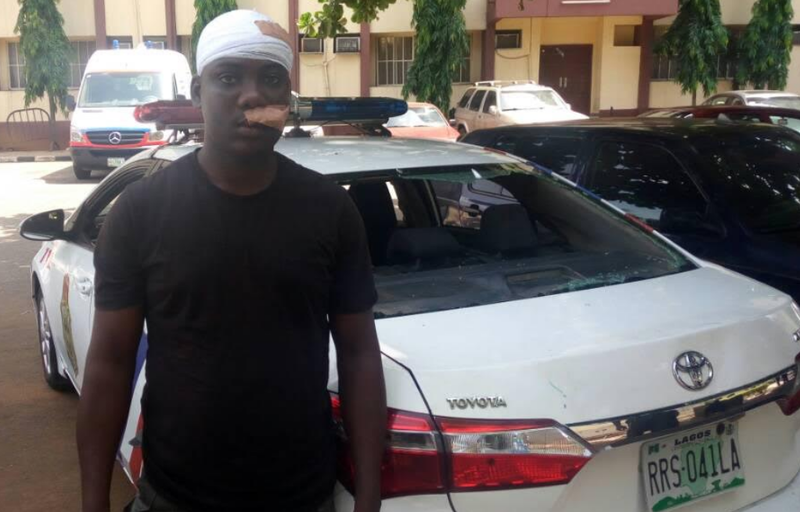 On the ground quelling the violence was the Commander, Area M, ACP Austin Akika, who was later joined at the scene by the Commander, RRS, ACP Olatunji Disu. The Rapid Response Squad was at the scene of the crisis at noon on Tuesday before the night incidence. At around 9:00 p.m. the RRS team responding to distress call returned to Abule Oki to disperse the warring gangs. 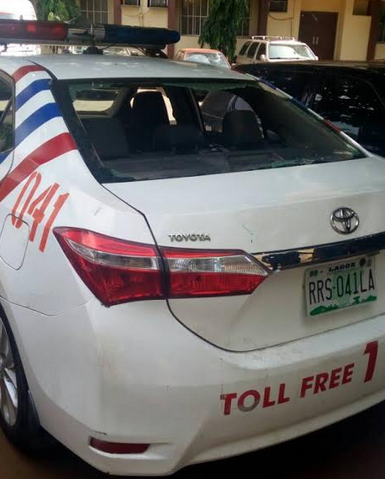 The officers were pushing back the youth into the inner streets of Abule Oki when youth pelted the police with stones and broken bottles which smashed the head of an officer and the rear wind shield of one of its operational vehicle, a Toyota Corolla with the registration number RRS 041 LA. While the RRS officer was taken to the hospital for treatment, the 20 arrested youth have been transferred to Area Command. They hit a law enforcement officer? Never mind, they will surely assist the police in the investigations. 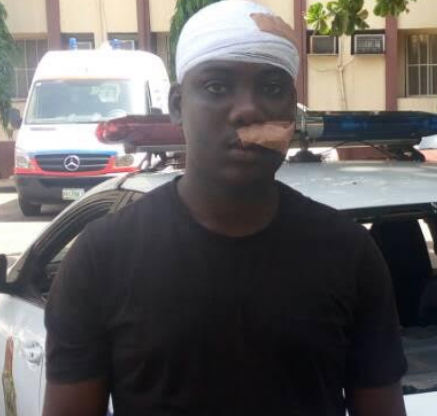 EVEN with boko haram war and military recruitment,kindly enlist them and ship those thugs to sambisa forest.its an easy way to keep them off the streets.